Trade Chemicals use the finest quality ingredients to create Ultra Snow Foam Car Shampoo – an affordable yet high grade product. Use 649 - 2899 points to purchase this product! Ultra Snow Foam Car Shampoo is created in such a way that the product clings to the surface, allowing easier cleaning of your vehicle. Give any stubborn areas a bit of a helping hand by agitating with a sponge. Covering Motor Vehicle, Farming, Boating, Cleaning & Industrial Applications – the Ultra Range is a highly effective cleaning product. 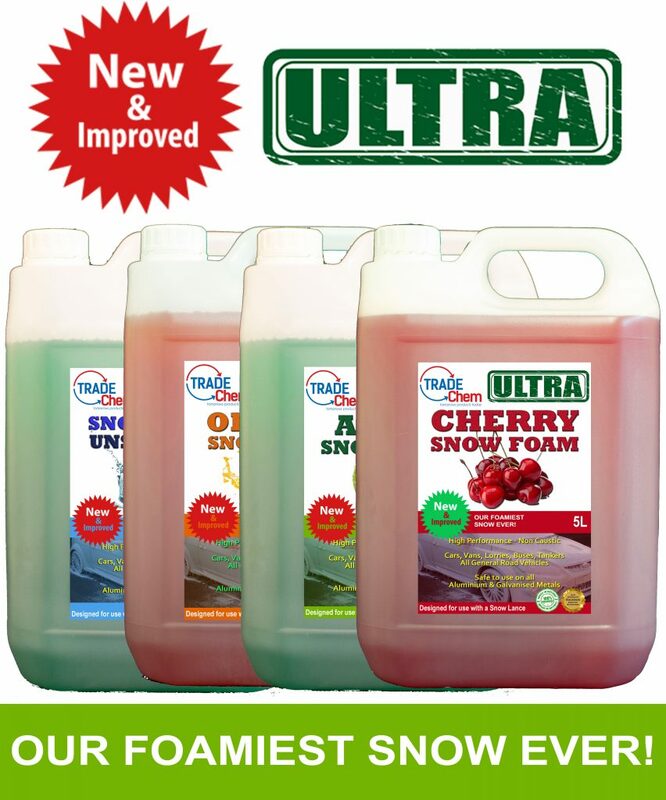 Our Ultra Snow Foam is suitable for use with all lances and pressure washer systems. For best results a user must use a lance with a flow setting and agitator which ensures the foam produced is as thick as possible. Set up your pressure washer and lance as per the manufacturers instructions. The amount of rich thick foam will also depend on your mix, for best results it is recommended to use a 3:1 mix with water and snow foam but again this varies depending on your settings, pressure washer and the temperature of the water.